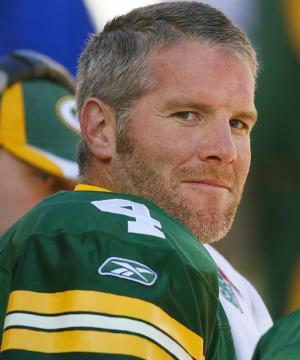 American Football player Brett Favre, was born on 10 October 1969, in Gulfport, Mississippi, of part French and American Native Choctaw descent. He played in the crucial position of quarterback, with most of his professional career spent in the Green Bay Packers National Football League(NFL) team. He also played for the Atlanta Falcons, New York Jets and finished his career in Minnesota with the Vikings. He is also an actor, and sometime coach and analyst. A famous former professional NFL player, just how rich is Brett Favre? As of mid-2017, Brett’s net worth is estimated by authoritative sources to be over $110 million, accumulated largely during a career in football which spanned 1991 until 2010. Favre’s salary grew steadily from 2000, when he received $450,000 with a three million dollar bonus, up to 2008, when he accumulated $12 million from the New York Jets after he was traded, and finally with the Vikings he added a $25 million contract in 2009, and a year later $12 million with an additional sum of $16 million from a reconstructed contract with them. Brett Lorenzo Favre studied at Hancock North Central High School, where his passion for American Football started, yet most of his focus at the time was directed towards baseball. When Favre matriculated from high school, he continued his studies at the University of Southern Mississippi on a football scholarship, his college career marked by setting several university records, including five 300-yard games, and being the seasonal leader in total passing and total offense in all four of his seasons at Southern Miss. However, it wasn’t until he launched his professional football career that he became a well-known athlete in the US. Brett Favre was chosen by the Atlanta Falcons as the 33rd pick in the NFL Draft in 1991, however, the Falcons coach did not approve of Favre being on the team, so he was traded to the Green Bay Packers, who had wanted him anyway. Favre joined the team in 1992 and subsequently made a name for himself as one of the best quarterbacks in the NFL. The Packers with Favre won the Super Bowl in 1997 against the New England Patriots, and during his fifteen years with the team he reached many personal milestones. Often referred to as “The Gunslinger”, some of Favre’s professional achievements included the Super Bowl; becoming a two-time NFC Champion, making it to the Pro Bowl all-star game eleven times, as well as being a three-time NFL Most Valuable Player. In addition to that, Brett Favre’s NFL career is highlighted by many league records, such as the most career pass attempts, most career victories as a starting quarterback, and most consecutive starts by a quarterback, to name just a few. When Favre retired from professional football, he went on to work as an analyst for the University of Southern Mississippi, coached high school, made a couple of cameo appearances in films, including with Cameron Diaz in “There’s Something About Mary” , plus the family own Brett Favre’s Steakhouse in Green Bay. In his personal life, Brett Favre has been married to Deanna since 1996, and they have two daughters. Brett is a philanthropist too, creating the Brett Favre Fourward Foundation in 1996, holding an annual golf tournament, fundraising dinners, and a celebrity softball game, donating the proceeds to various charities in Mississippi and Wisconsin. 1 Induced into the Mississippi Sports Hall of Fame in 2015. 2 Inducted into the Pro Football Hall of Fame in 2016, his first year of eligibility. 3 Inducted into the Green Bay Packers Hall of Fame in 2015. 4 He has Cajun (French), some Swiss-German and Spanish, and approximately 1/128th Choctaw Native American, ancestry. Brett's five times great-grandfather, Simon Favre, was a noted interpreter and linguist, and Brett's five times great-grandmother, Pistikiokonay, was Simon's Choctaw mistress. 7 Became a grandfather when his daughter, Brittany, gave birth to a son, Parker Brett [April 7, 2010]. 8 At age 39 he turned back on his retirement plans for the second time signing with his longtime Green Bay rival, The Minnesota Vikings. His two year Vikings contract will pay him $12 million for the 2009 season and $13 million in 2010. 9 Cover athlete on Madden NFL 2009 (2008). 10 Came out of retirement in July 2008 with the intention of being starting quarterback for the Packers, but meetings with Packers leadership derailed hope of staying in Green Bay. He was traded to the New York Jets on August 6, 2008. 11 Announced his retirement from the NFL on Tuesday March 4, 2008. 12 Was traded from the Falcons after then-Atlanta coach Jerry Glanville was convinced Favre would never make it in the NFL. Coincidentally, Glanville hasn't coached in the NFL since. 13 Named Sports Illustrated's 2007 Sportsman of the Year (4 December 2007). 14 On September 30, 2007, he became the NFL leader in touchdown passes thrown in a career. The recipient was 2nd-year wide receiver Greg Jennings in a divisional contest against the host Minnesota Vikings. It was his 421st career touchdown toss, eclipsing Dan Marino's mark of 420. 15 He was so unheralded coming out of college that, when he was selected in the second round of the 1991 NFL draft by the Atlanta Falcons, the broadcasters called him Brett "Favor" (his last name is pronounced "Färv"). In his rookie season, he did the Falcons no "favors," completing no passes and throwing two interceptions in five attempts. He was traded to Green Bay in the off-season. 16 Noted fans include Tony Shalhoub, Pat Morita, and Milwaukee Brewers ace Ben Sheets. 17 His first completion thrown in the NFL was to himself. 18 Favorite music artist is Tim McGraw. 19 Was voted the "Favorite Player to Watch on Sunday" in the TV Guide Viewer's Poll in 2004. 20 Was Men's Journal's "Toughest Man in America" in 2004. 21 Won the Super Bowl with the Green Bay Packers in 1997. 22 One the lowest points of his career came in 1991 when he was with the Falcons and he missed the team photo. When asked where he was, Brett, who had been drinking the night before, made up an excuse that he was stuck in traffic behind a train wreck. Falcons coach Jerry Glanville shot back, "Son, you are a train wreck!" The following February, Brett was traded to the Packer for a first-round draft choice. 23 (December 22, 2003) In one of the most courageous performances in sports history, reeling from the sudden death of his beloved father, Irvin, one day earlier, he threw for 399 yards and 4 touchdowns in a 41-7 rout of the defending AFC champion Oakland Raiders on Monday Night Football. 24 Selected 33rd overall of the NFL Draft by the Atlanta Falcons. On 10 February 1992, the Falcons sent Favre to the Green Bay Packers for the Packers' #1 pick in the upcoming draft. Falcons coach Jerry Glanville called Favre a "train wreck" after he missed the team picture during training camp because he had partied too hard the night before. The quarterback had 2 interceptions and 0 completions in 5 attempts in his short stint with Atlanta. (20 April 1991). 26 Earned five letters in baseball and three in football at Hancock North Central High School (Kiln, MS). His father, Irvin, was his coach. 27 Daughters, Brittany (b. 6 February 1989) and Breleigh (b. 13 July 1999).